An online archive of the outbreaks in Wales and England. 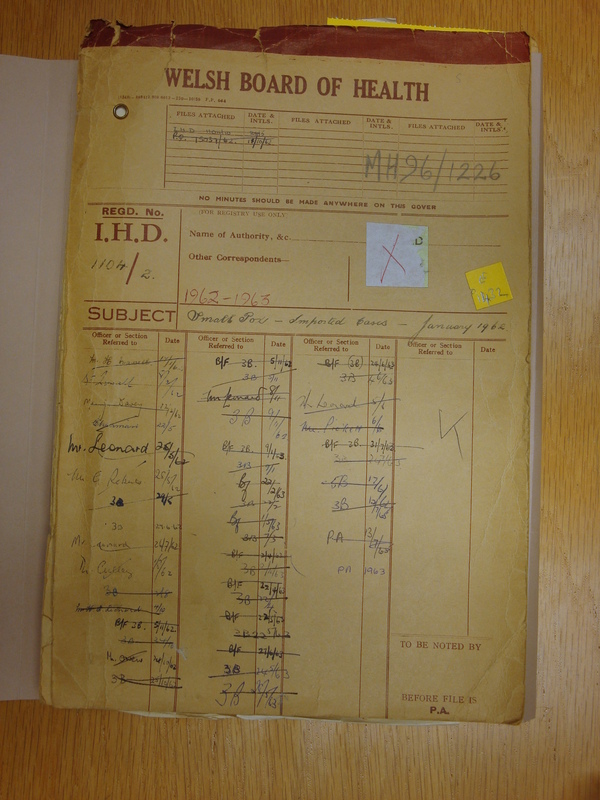 Click on the tabs below to see documents from the original files held at the National Archives. The are mainly from the file headed Welsh Board of Health and catalogued as MH96/1226 (see below). This was originally closed for 75 years but was opened in 2005 thanks to the efforts of Dr Roberta Bivins. Some documents are still secret and are in file MH96/1226/1.